MUZAFFARABAD, July 31 (APP): Pakistan Muslim League Nawaz’s PML-N Raja Farooq Haider Khan has become the new Prime Minister of Azad Jammu and Kashmir. 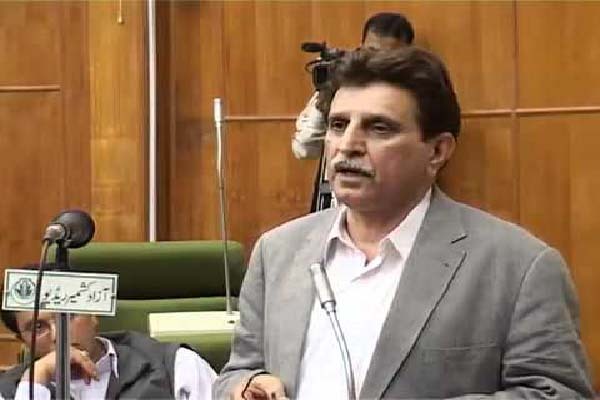 Raja Farooq Haider secured 38 votes in the 41 member of Legislative Assembly on Sunday, while his opponents joint candidate of Muslim Conference and Pakistan Tehreek-e-Insaaf (PTI) Dewan Ghulam Mohiuddin and Pakistan Peoples Party’s Chudary Yaseen secured 5 vote each. The legislative Assembly met with the newly elected speaker Shah Ghulam Qadir in the chair who announced the procedure to elect the leader of the house through secret balloting. The newly elected Prime Minister Raja Farooq Haider Khan will take oath of his office today at 4: pm. President AJK Sardar Yaqoob Khan will administered the oath to him.